Serving dinner every night, beginning at 5:30 pm. Voted Best Wedding Venue by the Knot for the Third Year! A spectacular mountain venue for your wedding and reception. 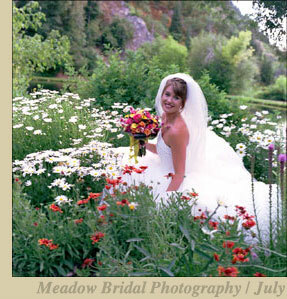 Log Haven is synonymous with wildflowers, waterfalls and beautiful weddings and receptions. It began its existence with romance – as an anniversary gift to the wife from the founder of Geneva Steel to his wife. Log Haven is the idyllic destination wedding location and hosts guests from around the world, with a variety of weekend activities that include skiing, hiking, biking, and golfing. We are located just 30 minutes to 4 ski resorts for world class skiing and outdoor actitivites. Log Haven is widely known as the best place to showcase Utah’s mountain splendor and celebrate important occasions. From private dining rooms to an open meadow, the views are incredible. Log Haven features 40 acres of private land (including a pristine lake) nestled in the mountains of the Wasatch National Forest, with a nationally acclaimed chef and full service wedding event planning. Our belief in Log Haven and our appreciation for its romantic past as well as its future have resulted in a wonderful blend of tradition and elegance that make it the ideal location for your Utah wedding. Log Haven is synonymous with clear waterfalls, colorful wildflowers, fresh mountain air, crackling fires and the finest of cuisine. Click here to read wedding reviews. In addition to mountain splendor, we supply the chairs, tables, linens, monogrammed china, stemware and stainless silver for your event. Usage fees begin at $750 and menu pricing begins at $26 per person. (All pricing is before tax and service charges.) Our pricing depends on the space reserved, the time of day, day of the week, and time of the year. The best way to determine what will work for your wedding group is to come in for a free, guided tour and consultation. We offer full-service wedding planning to help handle the time-consuming, stress-inducing details. Please call 801-272-8255 email to schedule a meeting with our Banquet Manager, Faith Scheffler.